Find out what these two principal laws explain about the way energy can and cannot be used throughout the entire Universe. The 1st law of thermodynamics states that energy can neither be created nor destroyed. The 2nd law of thermodynamics states that it is not possible to convert one form of energy to another with 100% efficiency. The Universe is a self-contained system and therefore has a finite amount of energy. An asteroid that collided with Earth 65 million years ago transferred energy rather than creating new energy. 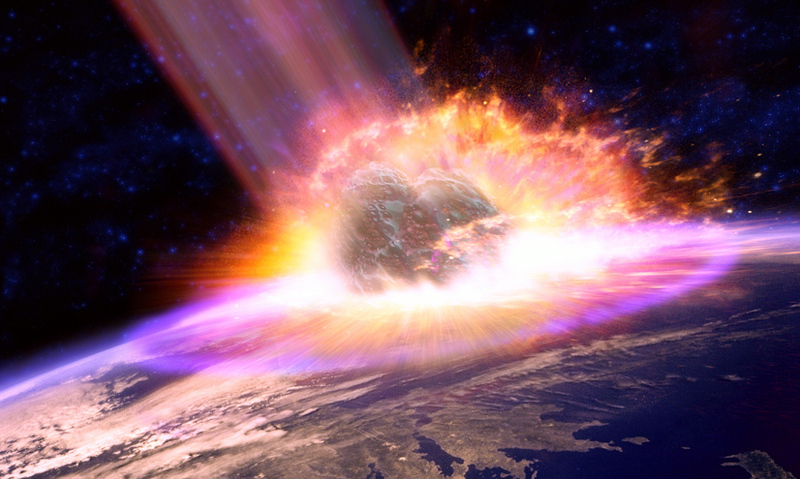 65 million years ago the Earth was struck by an enormous asteroid. That asteroid contained more energy than all the world's nuclear bombs combined.